Adam Hall has selected the cultural metropolis of Barcelona as centre stage for its southern European market opening a new 500 sqm showroom where the entire Adam Hall product range, including their own brands and brands they distribute, is showcased and used for demonstrations or presentations. There is even a stage to show off the sound and light equipment. 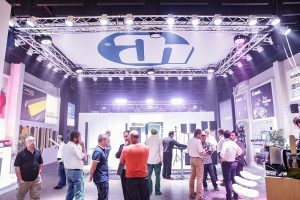 The opening ceremony has taken place during a couple of week where thousands of customers and guests from France, Italy, Portugal, Brazil and, of course, Spain have been invited. 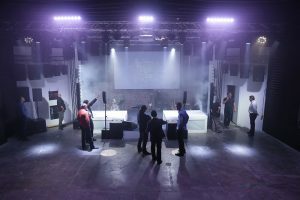 All series of RAM Audio amps are displayed in the venue to show interested people the amps and also several S and Zetta units are being used to power the LD Premium systems which are installed in the stage. Gabriel Medrano, International Area Manager of Adam Hall Southern Europe, expressed his happiness with this new showcase for all people who want to see and listen to the products and was very delighted with the interest of the visitors regarding RAM amps.